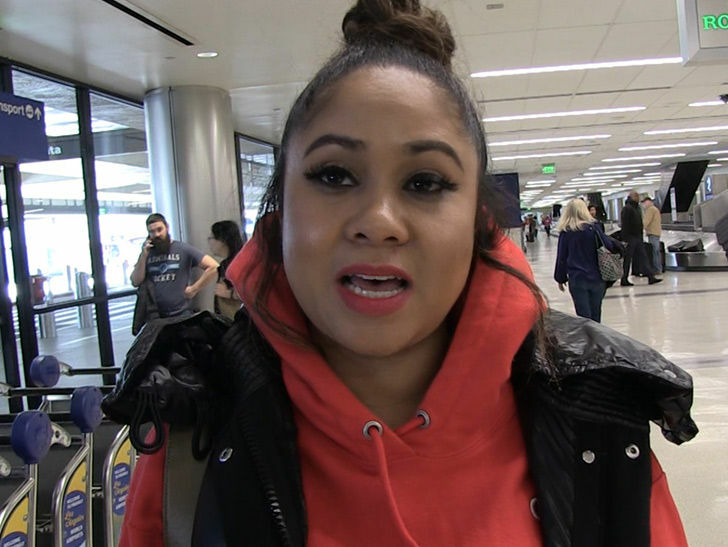 ‘Breakfast Club’ host Angela Yee isn’t shying away from having President Trump on the hip-hop radio show — in fact, she’s already got her questions lined up. Angela expanded on the interview she, DJ Envy and Charlamagne Tha God did with FOX News this week, where they were asked if they’d be open to having DT come on the show. She doubled down with us, saying sure … but they’re not gonna reach out. Seeing how the Prez’s daughter-in-law, Lara Trump, entertained the idea further by encouraging an appearance, Angela gave us a taste of what she and the team might ask. Hint … they’re tough questions the Prez has been able to duck and dodge in a press conference setting, but would be incredibly difficult to evade in a radio setting. And, they’re valid questions too — ranging from his Central Park Five history to Obama himself. But, because Trump has a history of censoring the media — or at least trying to — it doesn’t sound like Angela is holding her breath for a possible face-to-face. Side note — Angela says she’s felt Trump supporters’ fury first-hand since talking on FOX.